Palmer River Goldfields Roadhouse Turn right just over the Palmer River bridge). 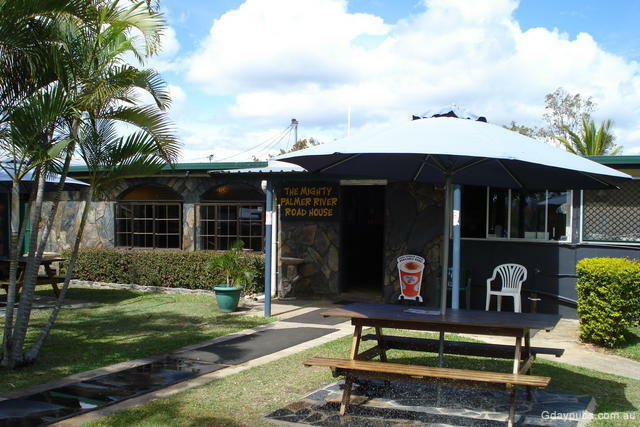 * Fuel * Supplies * Accommodation * Camping * Bar * Restaurant * Barbecue facilities. Located at the bridge over the Palmer River on the Mulligan Highway. Formerly the Penninsula Development Highway for this section of road.